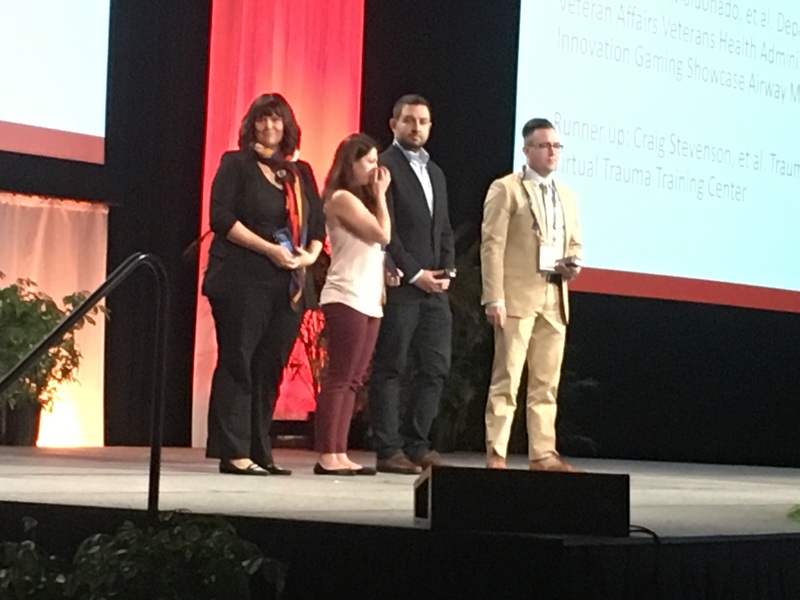 Conquer Mobile was awarded ‘Best in Show’ at the International Meeting on Simulation in Healthcare (IMSH) Serious Games and Virtual Environments Showcase in Orlando. The company won the small company / entrepreneurial award for its PeriopSim Virtual Reality training for OR nurses. Surrey, BC (PRWEB) – February 7, 2017 – Conquer Mobile today announced that the company won a key award at IMSH, the leading event for the healthcare simulation industry, in Orlando last week. The IMSH Serious Games and Virtual Environments Showcase brought together 33 participants demonstrating innovative simulation training solutions for healthcare. A judging panel from the Society for Simulation in Healthcare (SSH) made awards in 4 categories: large company, small/entrepreneurial company, researcher and student. Conquer Mobile won the entrepreneurial award for its PeriopSim VR instrument training for OR nurses. The International Meeting on Simulation in Healthcare (IMSH) is the world’s largest conference dedicated to healthcare simulation learning, research and scholarship. It attracts a diverse audience of 2,500+ physicians, nurses, educators, administrators, centre operations directors, technology specialists and other health care providers involved in medical simulation. The exhibition features manikin and computer-based simulation, virtual reality, task trainers, learning management systems, IT solutions, the latest products to enhance realism. Conquer Mobile is an education technology company specializing in healthcare. With deep expertise in VR, simulation, UX and gamification, the team creates engaging apps that deliver ‘Education as an Experience’. Current focus areas include: medical simulation training, enterprise safety education and custom VR and healthcare apps. PeriopSim Selected to Participate in AORNs Nurse Executive Leadership Seminar! Conquer wins Seattle Angel Conference SAC XIV!